Community gardens are places where people come together to grow food, foster good health, green urban environments, support life long learning and cultivate vibrant communities. Since the 1970s, this contemporary take on community gardening has seen a burgeoning of community gardens around the world, but the idea of a group of people gardening on common land is far from a new. Gardening on public land dates back to the early 19th century when the British Government allocated plots of land to the poor to grow vegetables and flowers. They have flourished in some form or another ever since. From the victory gardens during WW1 and WW2 to large greening projects, to small curbside gardens, community gardening has taken many forms. In the UK and Europe allotment gardens have been an important source of food for many families, some passing on allotments for several generations. In Cuba organically farmed community gardens fed millions of people after the collapse of the Soviet Union and its economic support in 1989. In Asia, community gardening remains a typical way of life in many villages. In Australia, the turn of the 20th century saw an emergence of community gardens as a response to war and food shortages. The recent wave of community gardening began with Melbourne’s Nunawading in 1977, followed a few years later in 1985 in Sydney, with community gardening at Callan Park in Rozelle. From these early beginnings, community gardens became increasingly popular and now many councils have supportive community garden policies. In some suburbs there are long waiting lists, highlighting the strong demand to be involved. 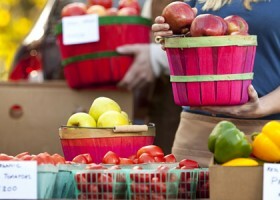 Community gardens are being recognised as an innovative way to grow food and improve health. They bring together people from all walks of life, backgrounds and ages to foster a lively and connected community. Whilst gardening is the focus, community gardens are generally community hubs for a range of activities – learning and education, playgroups, arts and creative activities, preparing and sharing food, community events, celebrations and social enterprise. Turning an unused plot of land into productive social hubs is just one of the benefits of community gardening. Neighbourhood groups with a shared passion for fresh organic produce work together to learn and share knowledge of growing food, help reduce family food budgets and provide opportunities for exercise, recreation and learning, as well as spaces for contemplation and relaxation. Community gardens point the way to living sustainably in an urban environment showing waste minimisation, composting and water usage techniques that can be used by people in their own homes. Once the idea for a community garden takes off and a group is formed, locating and securing a suitable site sometimes takes a while, but there are now many local examples of successful gardens for inspiration. Gardens are usually located on vacant public land, which can be donated by local councils or other organisations under various lease arrangements. They can be sited in schools, universities, parks, cul-de-sacs, vacant lots, roof tops, verges or nature strips or retirement homes, indeed anywhere there is a large enough space with good access, adequate sun and a water supply. Given their long history and popularity, there is a wealth of material available to assist groups wanting to establish a community garden. There is no one way to set up or run a community garden. Each has its own particular character depending on the people participating, garden size and design, the environment, what’s grown and how the garden is managed. 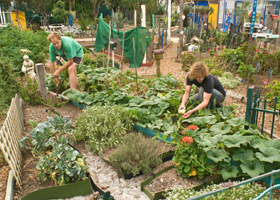 Gardens can be communal or shared gardens, where the group shares the work and harvest or allotment style gardens, where people garden their own individual plots. Many gardens combine the two approaches. Having partnerships with a diverse range of individuals and organisations helps ensure the success of the garden. While sometimes things go wrong, with good consultation processes and willingness by everyone to make it work, the benefits are huge. Along with community gardening in designated public sites, more people than ever are reaping these benefits by taking to their nature strip to grow edible and other plants. No matter where or how people choose to come together, community gardening offers local residents the chance to meet neighbours and experience a greater sense of community connectedness through the shared activities and pleasures of gardening. 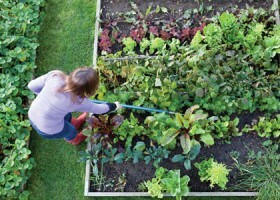 To read more about Mosman Community Gardeners, head to their website. Tina Jackson is Co-founder and Chair of DoSomething! The former Executive Director of the National Trust of Australia, Tina has over 25 years experience managing membership and volunteer organisations. As well as her national role as Chair, Tina promotes the ethos and mission of DoSomething! through community activism and her own local volunteering, including as President of Mosman Community Gardeners.